Use all your wits and skill to tackle all the puzzles and challenges in a new Binga episode from Ninjadoodle: Binga 3. The long awaited sequel in the point and click series by Mateusz Skutnik, it's submachine 8: the plan. Fold all the connected structures into shapes in the physics puzzler shape fold by Domas Kazragis. A new escape the room challenge by Tateita. Can you escape from this room with only a chair? Slide all the demons in their prisons until they escape or burn and use many mechanisms on your way to help you in the puzzler demon decimator by Pixelulsar. 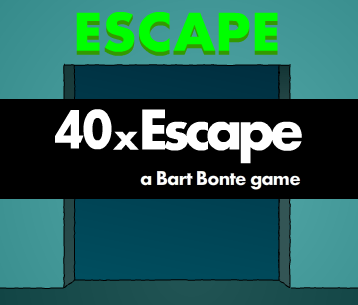 While travelling you came upon an ice castle where you got caught, so now you must escape the ice castle in the latest escape game by Selfdefiant. Set off with your mustache to a moonlit barbershop in the heart of a distant city in the platformer Crimson and Stache by Mr Beud. Pheus and Mor is a puzzle platformer by Dmitry Nikolaev and Anton Velmozhniy about a boy Pheus and his dog Mor. Help them to solve the puzzles and find out what happened. Move Pheus with the WASD keys and Mor with the cursor keys. Send Jack down the tubes to collect everything and win 1 ton of carrots in the latest BeGamer point and click puzzle Jack Tube. All the bacteria interact with each other in different ways and it's up to you to make a super-germ in the puzzler petri lab by Grace Avery. Enter the mind of the creatively complicated to solve all the puzzles in this point and click adventure by Tremor Games. Move the blocks, get the stash, just make sure you don't stick to the magnets in the puzzler coin stash by Doomwizard Games. Alone in the light: an arctic adventure about being alone in a world falling apart, by Chelsea Howe and Michael Molinari. Solve all levels by dragging paths from blocks to fill out the grid in the puzzler huebrix by Yellow Monkey Studios. Create and board NoNoah's ark before the flood is coming by solving logical puzzles in NoNoSparks: The Ark by Beardshaker Games.